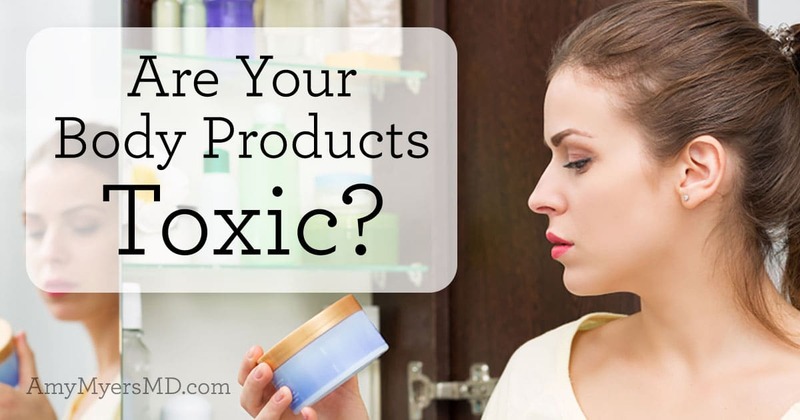 Are Your Body Products Toxic? You have heard the old adage “you are what you eat.” Now I would like to add another to that. “You are what you apply.” To your skin, that is! Your skin is your largest organ, and its large, porous surface creates a ripe opportunity for toxins to enter your bloodstream and circulate throughout your body. So, if you are what you eat, and you are what you apply, the question is: what are you? The truest answer is that you are a mixture of many, many different chemicals. From the moment you stumble out of bed, you brush your teeth with toothpaste; cleanse your skin with soap or shower gel; wash your face with face wash; suds your scalp with shampoo and conditioner; use shaving cream and aftershave, apply lotion, deodorant, perfume, or cologne, sunscreen, and if you are a woman, you can add makeup into the mix. Stop for a moment and think about how many personal care or cosmetic products you use in a day. How many did you come up with – two, five, ten, or fifteen? The average person uses 10 -15 body products with 126 different ingredients a day! According to the Environmental Working Group (EWG), a Washington DC based advocacy organization, the average American uses approximately 10-15 personal care products with a total of 126 different ingredients daily. This figure does not even take into account re-applications of products throughout the day. We brush our teeth three times a day, we wash our hands 6-12 times a day, we re-apply sunscreen every few hours that we are in the sun, we may even shower more than once per day. 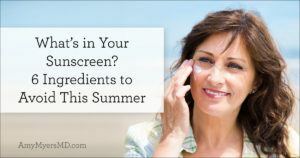 When you do the math, it is incredible to consider the number of items that we slather across our skin every day. However, the number of products used is not the issue; rather, it is the ingredients in those products and what they do once in our bloodstream that is cause for concern. An average of seven new industrial chemicals get approval by the US government daily, and eighty percent of these are approved in three weeks or less with little or no safety testing done. Many of these industrial chemicals are the basic ingredients in our cosmetics and personal care products. Even more shocking than the incredibly high volume of chemically laden products, is that our governmental does not regulate the safety of these products. You read that correctly – the FDA does not investigate or test for the safety of personal care products before consumers buy them! Instead, the Cosmetic Ingredient Review (CIR), an industry-appointed and funded panel, reviews the safety of cosmetic ingredients. According to EWG, there are approximately 10,500 ingredients used in cosmetics in our country, and in its thirty-year history, the CIR has screened only 11 of those ingredients. 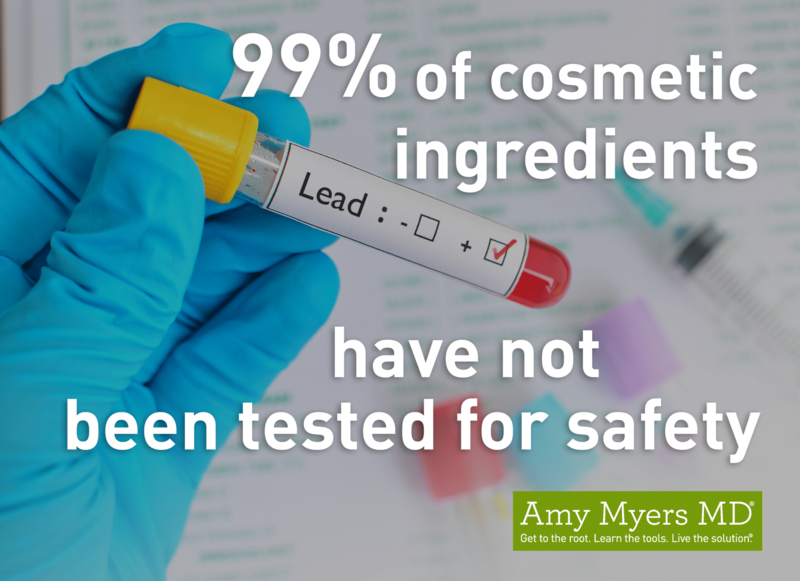 This means that, if we do the math again, nearly ninety percent of cosmetics ingredients are left, un-reviewed and un-tested for safety. The cosmetic industry argues that it’s ok to put these toxic ingredients into products because only tiny amounts are used in each product and therefore they are not harmful. However, as you already know, each of us is using 10 or more products a day. If you add to that several applications a day and multiply that over a lifetime, then these toxic chemicals do add up and wreak havoc on our bodies and our heath! And what’s even worse – is the number of loopholes that the cosmetic industry has in place to make it difficult for even the most educated consumer to read and understand its labels. 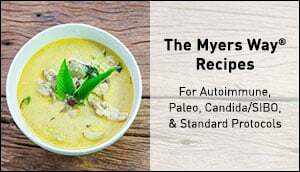 For example, the industry is not required to use the FDA’s ingredient name convention guidelines and therefore one ingredient can be spelled and labeled many different ways in different products. Any product with the word “fragrance” could have virtually anything in it and need not be disclosed to the consumer because the chemicals that go into making a fragrance are considered “trade secrets”. In one study by the EWG, phthalates, a known toxin, were found in 75% of all products yet was not listed on the label but rather hidden in the word ‘fragrance’. Another of the “dirty dozen”, parabens, a ubiquitous ingredient in hair care products, lotions and other skincare items are known estrogen mimickers; that is, once applied to the skin, they travel through the bloodstream, appearing to the body to be estrogen. This incognito approach causes the body to react as if true estrogen is present in excess. Too much estrogen can cause a decrease in muscle mass, an increase in fat deposits throughout the body, early onset of puberty in boys and girls, reproductive difficulty in men and women, and a host of other issues. 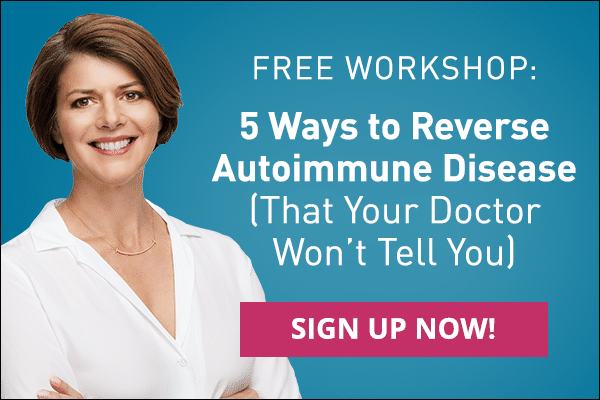 While estrogen is an important hormone that regulates many functions in the body, just as we know “we are what we eat,” we also know that too much of a good thing can be a bad thing. Infants and young children with developing endocrine systems have an even greater risk of being adversely affected by these harmful chemicals. Using a lotion to moisturize a baby after a bath can mean that, simply because of his or her size, five to ten times as much of the product and its chemical make-up are being absorbed into the bloodstream. And, because the infant’s endocrine system is working non-stop, hormone disruptors and estrogen mimickers are sending mixed signals to the child’s body on how to develop. 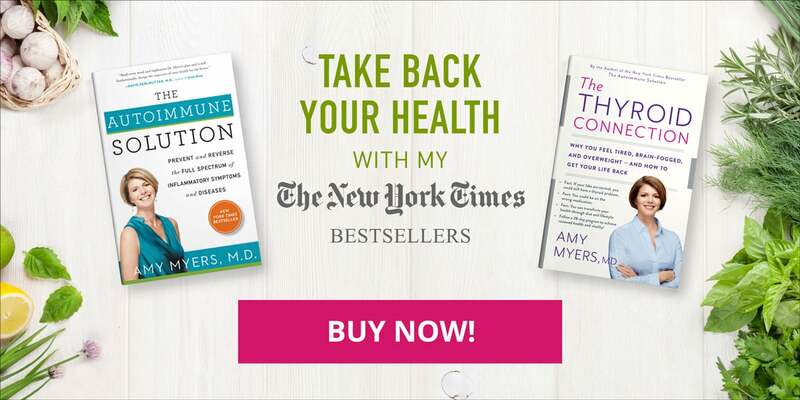 Boys may develop breasts; girls may have their first menstrual period before hitting ten years of age; children of both genders may become overweight or obese – all of these can be external manifestations of the hormone disruptors that are present. I realize that this information can be overwhelming, and even frightening. I prefer to focus less on that and think more about how to choose safe and healthy products, and how to support the companies that produce them. 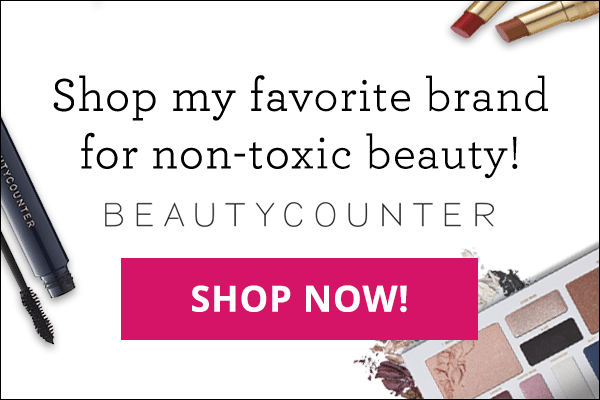 Here are my tips to protect yourself and your family from harmful cosmetic ingredients. Read all ingredient labels carefully! The US government does not regulate the word “natural” or “organic”. To carry USDA Organic Seal of Approval at least 95% of the ingredients must be organic. No seal, no purchase! 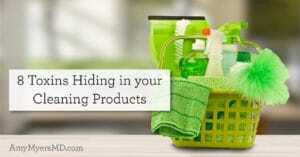 If you can purge the products, throw away everything in your bathroom, kitchen, etc. that contains the ingredients listed above, and replace them with toxin-free alternatives. If the idea of tossing everything is too overwhelming, or cost is prohibitive, set a goal of replacing one item per week or month until you have replaced everything. 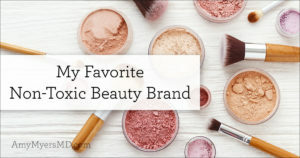 Here are a few of my tried-and-true favorite products. These are all brands that I use myself and that I feel comfortable with. If you have any other favorites, let me know in the comments below! 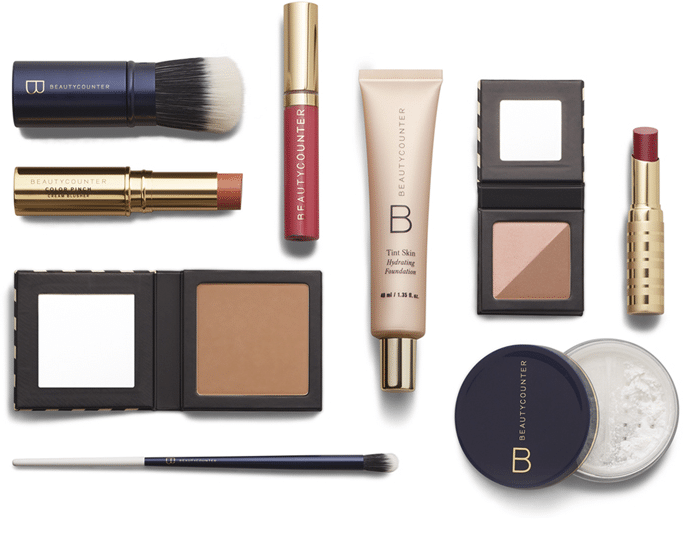 I get all of my makeup from Beautycounter because they avoid using toxic chemicals in their formulas such as parabens and pthalates. Plus, they test their products for safety using rigorous standards. I love them and theirs is the only makeup I will wear! Milk + Honey is another local favorite of mine. I use their body lotion and cream deodorant every day. 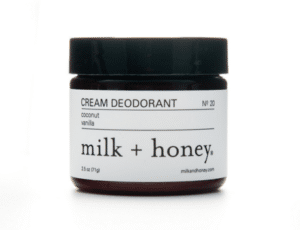 The deodorant is a particularly good find because it can be very difficult to find an all-natural deodorant that actually works! KEYS products are so clean you can almost eat them. 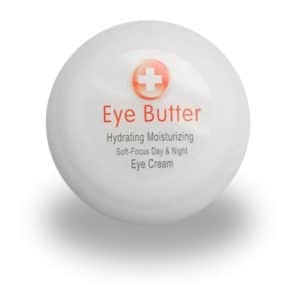 Their eye butter is so rich it’s to die for! I love their lotion and the sunscreen is the safest on the market. 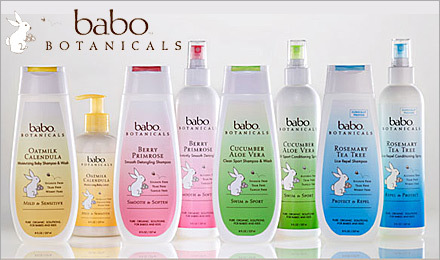 Babo Botanicals soaps, shampoo and lotion are for baby and mommy. Kate, the founder and I served in the US Peace Corps together.